You are having one of those days. It’s 11 am, and even though you had breakfast, you are madly looking around for something sweet to eat. In the break room at work, you spy a box of donuts, already stale from being left out for hours. You don’t care, gobbling one down and wiping the powder off your face. You manage to push on until lunch, munching on a salad and some crackers in an attempt to rectify your earlier lapse by being “good” about what you are eating now. But around 3 pm, you feel like you are going to fall asleep on the job, suddenly cranky and craving sweets once more. The scenario isn’t all that unique, but what you may not realize is that days like this have a verifiable culprit. In fact, if you can relate; you are probably lacking in protein. Women need at least 46 grams of protein every day, while men need around 52. That amount greatly increases during pregnancy, when the necessary intake jumps to 80 grams per day. But a lot of women struggle with meeting that ideal intake. And we get it. We know you are busy, because we are too! That is why we want to let you in on a simple little secret that can boost your protein intake – whey protein powder. I am not talking about just any kind of whey protein, I am talking about the highest quality whey, made from the milk of free range, grass-fed cows. We need protein to sustain and build muscle tissue. Without it, the body literally begins “eating” itself. Some of the key responsibilities of protein include making enzymes, hormones, and antibodies for healthy immune function. Protein also has less of an effect on insulin levels than carbohydrates (remember that donut?). Eating protein in place of high carb foods (like donuts or crackers) helps to balance insulin levels and supports sustained weight loss. This is because protein requires more energy to break down and assimilate, which makes you feel more satisfied and less likely to overeat. Balanced insulin levels and maintaining a healthy weight are vital to encouraging balanced hormone levels in preparation for pregnancy. Eating a high-protein breakfast has been shown to curb hunger by suppressing the hormone ghrelin and increasing cholecystokinin (CCK), which tells the brain to stop eating. In addition, it has been found that people who eat a high-protein breakfast experience reduced evening snacking. Now that you know how important protein is in the diet, it’s time to commit to including a good quality protein in each meal throughout the day. Think of whey protein powder, sprouted nuts, seeds, cage free/organic eggs, poultry, grass-fed beef, and high protein grains like quinoa. Avoid processed meat products like hot dogs and deli meat; these contain health-robbing sodium, nitrates, antibiotics and added hormones. Why Include Whey Protein Powder in Your Diet? Simply put, whey protein powder is a quick, nutritious and safe way to increase your protein intake every single day. Whey is one of the most biologically-active protein sources and is easy and quick to digest. It also contains important essential fatty acids, all the necessary amino acids, and the important antioxidant glutathione (GSH). The best part is that adding whey to your diet is so easy. All you have to do is to add a scoop of whey protein powder to your morning Fertility Smoothie, juice, organic milk, or water. It can also be added to any homemade salad dressing recipe. Not all whey protein powders are considered equal. Look for whey derived from the milk of 100% grass-fed cows, and find products that have undergone minimal processing and contain no added sugar. Minimal processing ensures you will be provided with the full range of fragile immune-modulating and beneficial components naturally found in fresh raw milk. A superior quality whey will also be hormone-free, pesticide-free, chemical-free, antibiotic-free and non-GMO, to ensure you avoid harmful toxins shown to negatively impact fertility. We prefer FertiliWhey protein because it meets all these requirements, contains 16 grams of protein per scoop, to help you stick to eating a balanced fertility diet. Now for the good part… 5 delicious Fertility Smoothie recipes that include whey protein powder and other important fertility superfoods. Simply add the ingredients below to a blender. Blend. And enjoy! Bowden, Jonny, PhD, CNS. (2014) Lose Weight With Protein Powders, Better Nutrition Magazine. I used whey powder to get the 120gm protein I needed during my twin pregnancy, and it was great. However, I see so many patients with cold damp imbalances, and whey is very cold and damp in nature. In addition, peoples’ skin and respiratory issues (like excema and asthma) are often exacerbated by whey. I think it’s good to point this out so that people reading this don’t believe every person needs whey to be healthy. We can get all the nutrients we need from Whole Foods and can even without cow dairy if they are sensitive. It is correct that whey is not for everyone! What can I get a substitute for whey protein as I’m not comfortable with dairy products. Any other high quality protein powder that doesn’t have any chemicals or junk in it and is free from fiber. I just need a protein powder with zero fiber in it. There are many companies that make plant-based, non-dairy protein powders, but I can not speak to their quality or whether they have fiber in them or not. It may be best to consider adding protein to your diet through whole foods. Consider these animal and plant sources of protein while you search for the protein powder that fits your needs. I am worried that I drink protein shake as a post workout meal and this could lead to infertility for me. Can I exercise every day for 35 minutes then drink protein shake, as i am vegetarian? The name of protein is Impact Whey Isolate, orange cream flavor. Please tell me, is it safe for me or I should quit it to be fertile? My GP can’t help as doesn’t know anything. I always add almond milk, 250ml, or Greek yogurt, fat free 100g, with the protein shake and blueberries as post workout meal. I wait for your reply. Consuming a whey protein shake is not likely to lead to infertility. I have never heard this. Is this your concern? Not to worry! I am not familiar with the whey protein powder you are using, but a quick glance at the ingredients leads me to think it is fine. I can not speak to its quality. One thing you mention is that you are vegetarian and “whey” is from cow’s milk. Do you consume dairy? If not, whey may not be the best form of protein for you. Smoothies with why protein powder are fine to consume when naturally supporting fertility health and trying to conceive. 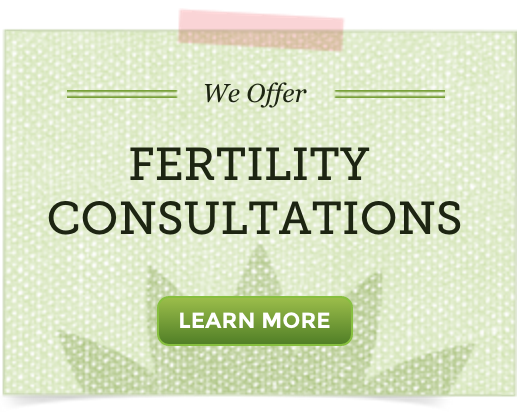 In fact, we support drinking a Fertility Smoothie daily when preparing for conception. It may also be interesting to learn about exercising and fertility. We suggest 30 minutes of low to moderate impact exercising at least 5 days a week when trying to conceive. I hope this eases your mind and I wish you well!